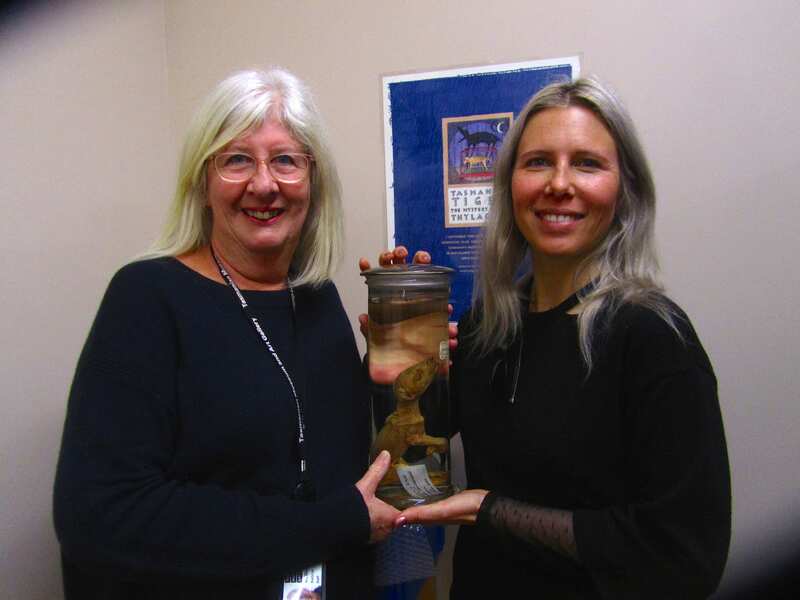 This past June when I was in Hobart for Dark Mofo, the wonderful Kathryn Medlock, Senior Curator of Vertebrate Zoology at the Tasmanian Museum and Art Gallery [TMAG], gave me a behind-the-scenes tour of their offsite collections. There I had the honour to hold one of the original thylacine pouch young specimens that we scanned for our paper on Tasmanian tiger development, A930, shown below. This little male joey, about 9 1/2 weeks old, was brought to TMAG with its sister and mother as a bounty animal from Campbell Town in 1902. 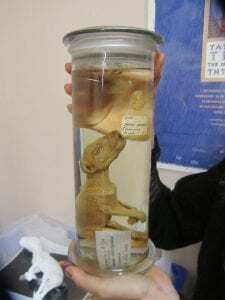 The location of its sibling is still unknown, showing just how rare and valuable these specimens are.